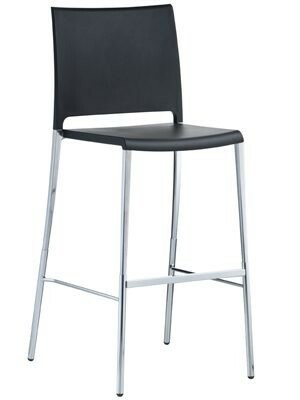 Plastic stool with seats made from strong and durable polypropylene. Frame is available in Colour Powder Coated or Chrome. Seat height 750mm. Matching chairs available. Available in 6 colours: White, Black, Red, Orange, Beige and Grey.